In 1513 Vasco Núñez de Balboa claimed the entire Pacific and all the shores washed by its waters for the Spanish Empire. Three hundred and seventy-four years later, in 1887, Lt. Cmdr. Charles H. Stockton of the United States Naval War College showed his students how to conquer this domain. The core of his plan envisioned Columbia, with drawn sword and shield, steaming up the Pacific Coast to attack Britannia in western Canada. The ultimate goal, of course, was to dominate trade in the entire Pacific Basin. There was one little detail that could have impeded this coup de grace since “until the end of the decade there was for all practical purposes no American navy.” 1 The Royal Navy was, after all, a bit more robust. The image of Stockton is different than that of Alfred T. Mahan, although he too was engaged in equally serious studies. Stockton’s strategic contributions, moreover, are undeservedly regarded as simulacra of Mahan’s. The Lt. Commander’s plan is noteworthy of discussion, for it is American chutzpa at its finest. Capt. 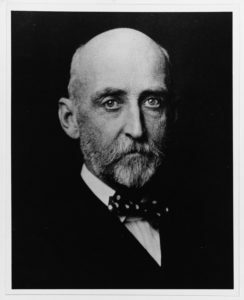 Alfred T. Mahan, the president of the Naval War College, wrote in his annual report to the secretary of the navy in 1887 that “much new matter has been introduced, all bearing upon the practical question of carrying on naval war to the best advantage.” 11 That, of course, is an understatement, since it referred not only to his contributions but also to those of Lt. Cmdr. Stockton. Stockton anticipated that a canal, especially across Panama held superior military advantages over Nicaragua given its topographical and locational factors for more facile defensive and offensive operations. Such prospects should alert Americans to the poor state of naval and military preparedness that was necessary for the increase of global power with the entailed responsibilities. Lectures two and three pointed out that all of the canal’s eastern approaches and strategic points in the Gulf of Mexico and the West Indies should be not only readily defended, but also dominated by the United States. The Caribbean, in short, should be transformed into an American pond. In lectures seven and eight Stockton also foresaw major alterations in trade routes west of the canal—in the Pacific. They were, of course, in his mind indistinguishable from military routes, so they came under his scrutiny. The astute officer, according to Stockton, should not only concentrate on the immediate firepower of the Navy’s ships but the myriad of other important issues that make for effective nautical maneuvering. “So much is involved in this question of docking,” for instance, “that I cannot resist calling attention for a moment to its connection with Naval strategical [sic] questions.” 20 The “creation of speed” for a fighting fleet, Stockton continued, had been given ample attention, but he forewarned, that the maintenance of this speed will be quickly hampered by the fouling of bottoms with increased coal consumption. These issues, however, have been ignored. Basic concerns, such as naval bases, arsenals, and coaling stations have likewise met the same fate. Greater funding was therefore a prime requisite for a fit navy. If the vanguard of America’s military and commercial future belonged to an energetic officer corps, so as a matter of course, the future canal would be the key to open this vision. 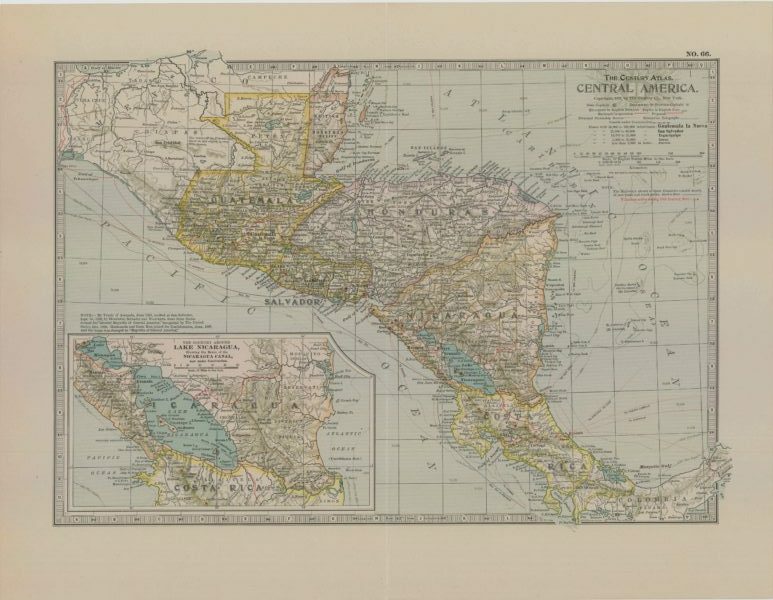 Since the strategic and logistic focus would be Central America it was to be the prime target of any enemy. The French could be overcome with exertions in the Caribbean and the Pacific, but the Spanish, Stockton thought, could be easily eliminated as evinced by his war plan against Cuba. 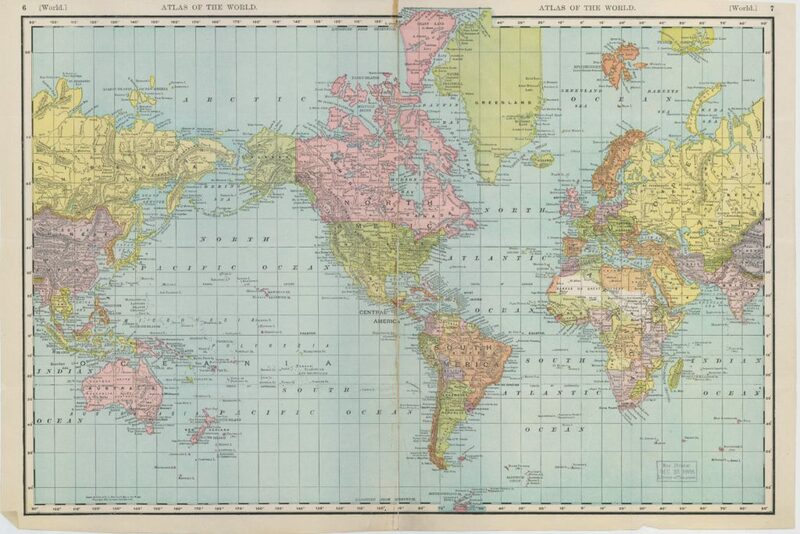 21 When Stockton first began writing his lectures as early as 1886 he also displayed a fear of German commercial growth in Central America and the Pacific. He believed this activity would attract settlers, foster territorial aggrandizement, and undoubtedly be followed by a military presence. Since this German incursion was repugnant to his growing country, they had to be addressed. The foreign bases eastward, especially at Port Royal in Jamaica, Havana in Cuba, and Fort de France in Martinique were major threats. The potential westward points, such as the Galapagos, could in all likelihood serve as a rallying point to marshal forces against the canal. On the other hand, the canal could be the prime U.S. base against Europeans. Their future military activity in Latin America, on both its Pacific and Caribbean shorelines would be forestalled. The subjugation of Mexico could also be orchestrated. So the isthmus at either the Nicaraguan or Panamanian locations on both oceans, with their different logistic and strategic defensive and offensive locations, necessitated protection by both the Navy and the Army. Whereas Havana presented the most important strategic position in the Gulf of Mexico and the West Indies, San Francisco held the same significance for the entire Pacific Ocean. To that end, he expatiated on the strategic features, both defensive and offensive capabilities of various points on the U.S. Pacific Coast. He delineated the present and potential trade routes that would alter and bloom with the completion of the canal. He also discussed the abundance of natural products, the richness of minerals, and even the importance of a potential source of motive power in his coal-fired steam age. Stockton described in painstaking topographical and hydrographical detail the respective British and American positions on Vancouver Island and Puget Sound. The lieutenant commander also pointed out the lines of defense, fortifications, and locations of naval bases that would have to be established under different circumstances of enemy action, given the tides, time of day, and weather. With a naval base in Puget Sound to “counteract” the British presence, communications would also be maintained with Alaska and the entire Pacific coastline protected. It is my belief . . .that in case of war with Great Britain the theatre of naval war in the Pacific will be here . . . . So Stockton stressed the importance of New Zealand and Australia. New Zealand presented a potential threat to U.S. interests for its logistical position as a coaling base and many fine harbors, some of which were strongly fortified. 40 Blessed with bountiful natural resources, the latter boasted the capacious harbor of Sydney. London had poured money into the populated areas for defense. In addition to the Royal Navy, the Australians maintained local squadrons, so as to contribute to a maritime and naval superiority in the southern Pacific area. To counter these threats, as with Esquimalt, Stockton proposed two major aggressive operations. Any naval operations against New Zealand would naturally be directed first against Auckland and on account of its fine harbor and strategical [sic] position. . . .
To accomplish the destruction of . . . [the enemy’s] naval force we need not only a force large enough in numbers to meet any fleet Great Britain would be likely to assemble here, but also one including battleships, carrying ordnance of large size and modern construction and protected with heavy armor . . . .
Stockton was the first naval officer, with pencil and paper, to chart the bounteous future that the canal promised, and he did so on a global basis. 53 Strategic Study of Lake Frontier of the United States” during the same session as Stockton’s lectures. See: Mahan, “Report of President of Naval War College,” Annual Report of the Secretary of the Navy, 1888 (WDC: GPO, 188), 101. Given the small staff at the Naval War College Stockton and Rogers undoubtedly knew each other. It is also possible that they envisioned orchestrated assaults on east and west Canada, but additional research is necessary. Mahan was also familiar with Rogers’ war plans. C.C. Rogers tells me that the “Intelligence Report on War Resources of Canada” has not yet been forwarded by the Admiral [David D. Porter], and that if he can be allowed to retain it, he can, without further writing, read from it such parts as may be necessary for our lectures on the “Strategic features of the Canada frontier”. . . . [Mahan to Raymond P. Rogers, 13 August 1888, as presented in: Robert Seager, II and Doris D. Maguire, Letters and Papers of Alfred Thayer Mahan, Vol. I: 1847-1889 (Annapolis: Naval Institute Press, 1975), 656.]] That should make us aware of three more lost traits—an untrammelled innocence yet one that faces reality, a thirst for learning yet an awareness of a changing world, and a unique yet shared vision—hallmarks that suggest an original thinker. David was not the only man from whom the busy Mahan eventually “drew inspiration.” Stockton’s lectures on the Pacific were also cornucopian sources, for Mahan neglected to take into account the entire Pacific Ocean in his strategic thinking until the same year as The Influence of Sea Power upon History. If we look at Mahan’s articles before the Spanish-American War, there are four that draw our attention. Mahan’s wisdom of hindsight was marvelous. With some early nurturing by Stockton’s focus on the Pacific, the ongoing interest in the canal, the stark implications of growing American, Japanese, and German power, and the Open Door Policy Mahan’s thinking undoubtedly matured. Then of course there was always the enlightenment for his reading public. So Mahan was keenly aware of the strategic and commercial implications of an isthmian canal, but apparently not for the consequences of a bounteous role for Pacific trade and the potential tasks for the U.S. Navy. He was too Euro-centered and parochial in his thinking, so he clung to the Mediterranean as a reflection of history. In short, he looked to the past instead of to the future. is conspicuously absent in documents for this period. He, for the present, remains an enigma. His voluminous works, however, bespeak of an industrious man. It is “The Present Condition of Commerce and Commercial Routes Between Europe and the Pacific, with an Estimate of the Effect Produced on Them by a Trans-Isthmian Canal . . . ” that will remain his monument. The first lecture besides being introductory in its nature will treat especially of trade and trade routes now existing between the Atlantic and Pacific, showing how both will be effected by the Canal. The second and third lectures will embrace a naval and commercial examination of those ports and harbors of the Gulf of Mexico and Caribbean Sea, that are important in a military or commercial sense, with respect to the trade routes to the Canal and the Canal itself. The fourth lecture embraces an inquiry into the political state of the Central American countries likely to be most affected by the canal, and a narration of the international questions bearing upon the Canal. In an earlier article this author touched on lecture one and discussed lectures two and three, with an emphasis on his war plan with Spain found in the latter two. 21 Lectures four and five are missing from the Naval War College Archives and so was a surmised lecture six. Lectures seven and eight were undoubtedly a later product, most likely from the next year, and as cited in Stockton’s notations, were respectively: “A Strategic Study of the Pacific Coast from the Gulf of Panama to British Columbia with Special Reference to the Interests of Military Policy of the United States” and “[A] Strategic Study of the Waters of Puget Sound and those Adjacent to British Columbia with a General Examination of the Strategic Conditions and Possibilities of the Pacific Ocean.” The struck-out words in the above block quote indicated that these subjects treated in lectures seven and eight were originally slated for lecture five. Stockton’s lectures, both on the Caribbean and the Pacific, were written at the same time as Mahan’s inquiry into the strategic features of the Gulf Coast and the Caribbean Sea, and as adumbrated above, most assuredly antedated Mahan’s inquiries into the Pacific. 90 Notations on the Naval War College folder that contained Stockton’s introduction suggested that his strategic lectures, or at least some of them, were read in 1887, 1888, and 1892. A revision was also indicated on June 9,1894 and another reading on July 23, 1894. 91 The notations, however, did not suggest whether the Pacific or Caribbean lectures were read. Apparently, Stockton kept the proposed canal close to his heart. 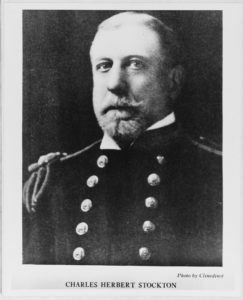 A year after the Spanish-American War and just before his retirement as president of the Naval War College in 1900, the Proceedings published another article, “The American Interoceanic Canal: A Study of the Commercial, Naval and Political Conditions.” Although this re-casted and updated version conflated his original lectures and excised the war plans against Great Britain and Spain, his vision, nonetheless, remained unchanged. Stockton correctly surmised that the canal would engender new commercial and strategic rearrangements throughout the world. The close relationship between Stockton and Stephen B. Luce endured for many years. In a letter dated February 6, 1888 the younger man wrote to his mentor. It is pleasant to find the labor expended upon the lectures duly appreciated. So much of the matter existed in a widely scattered form that hard work was necessary to gather it, digest it and reason from it; so much chaff to go through with to get the grains of wheat. The work, however, was a labor of love, and I feel indebted to the College for giving me a direct tangible reason undertaking the subject. . . . This entry was posted in Article and tagged article, ken wenzer, stockton, US Navy. Bookmark the permalink.